Evan Tanotogono is the Head of Digital Channel at Sequis, spearheading company initiatives of building competitive advantages through disruptive digital innovation. He has been experimenting some ideas to revolutionise digital selling of insurance in Indonesia, such as the utilisation of conversational transaction interface. Prior to entering the Insurance industry, Evan was the Senior Lead at Tokopedia, heading the business team for Marketplace Category, during which he was involved in pioneering the big 'Ramadan Ekstra' campaign. He was accountable for defining strategy roadmap for each category, supporting business partnerships, and transforming team capabilities to become data-driven and analytics-enabled. His accountability also includes initiating platform enhancements, such as channel personalisation and monetisation strategy, as well as setting up business operations to ensure seamless execution. Evan had also spent a few years at The Boston Consulting Group, focusing on People & Organisation, Operations, and Strategy topics. In addition to his specialisation in Industrial Goods, his experience includes supporting strategic digital transformation for a Malaysian leading media company. 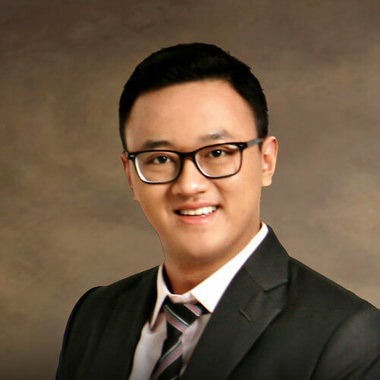 Evan holds a Masters Degree in Instrumentation & Control Engineering from the Institute of Technology Bandung, Indonesia. During his free time, Evan enjoys oil painting, music composing, cooking and miniature modelling.